A good stretch can make a big difference. The perfect way to start the day is to have a morning routine of a couple of minutes devoted to stretching. Many people who have a desk job over time develop pain and tension. So for them, this morning routine would be ideal. Stiffness and pain in the early morning while waking up can be common due to the accumulated fluids during the night while sleeping. The morning routine with stretches can help lower pain and move the blood. Stretching helps calm the mind and ease the stress. By concentrating on breathing and lowering tension in the muscles, the whole body is relaxed. Mentally, it boosts mindfulness and physically raises blood flow. Stretching raise flexibility. It helps keep mobility in the body and might raise the range of movement. According to one study, both static and dynamic stretching might effectively benefit your body. This is another benefit of stretching – it can prevent back pain or help you reduce your back pain. Stretching can really help for back pain. Stretching also helps improve your posture. After regularly stretching you should feel more confident. Stretching regularly leads to less pain and raises alignment. What stretches you can do? Read on to find out. Use the frame of a door as support to straighten the spine, and then you should open the chest and strengthen the arms and shoulders. This stretch can help relax your muscles in the torso also. To do this, you should put your arms on the door jam and make sure to step the foot through the threshold. Your upper arms need to be parallel to the ground and your forearms aligned up and beside the doorway. Then you should bend your front knee until you feel the stretch, you should feel it in your chest or shoulders. Stay like that for half a minute and then repeat the whole procedure on the other leg. This specific stretch is perfect for back problems such as lower back pain and also for opening the hips. You should take the left leg with the knee bent on your bed. After, you need to square the hips while at the same time ensuring that your front knee is actually placed outside of your front shoulder. Keep your tailbone untucked and your spine straight, then bend forward at the hips and put your hands on the bed in order to get more support. Stay in this position for 5 to 6 deep breaths and then just switch sides. You should know that this stretch is good for your upper back, core, and shoulders. 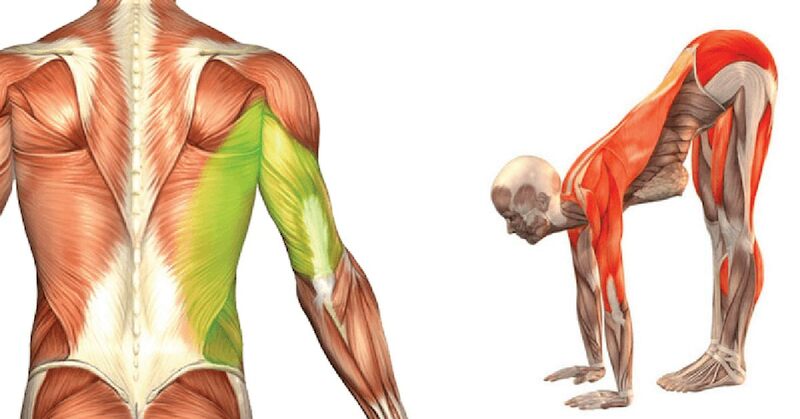 Also, it can extend the range of movement for the back, core, and shoulders. You need to clap the hands and then extend the pointer fingers. Grasp them over the head, and as you reach forward, you should inhale and exhale while you bend the body to the right. Make sure to breathe in slowly five times and then get back to center. Repeat the same procedure on your left side. You should repeat the procedure 3-4 times. This stretch is good for the torso and to lengthen the spine, back, and neck. Also, it helps strengthen the spine and develop flexibility while creating space in the neck. Start with your knees and hands on the floor with palms situated under the shoulders and your knees under your hips. Make sure to take a deep breath and pull the abdominal muscles in while at the same time arching the back up as a cat stretching. While doing all this, you should let the tailbone and head move down toward the ground. Then you need to get back in the initial position and bend the upper part of your spine upwards while at the same time supporting it by involving the abdominal muscles. Do not allow the neck to sink into the shoulders or the should crunch up the neck. Do your best to keep the neck as a long extension of the rest of your spine and do not allow your head to fall back. Then you should return to the initial position and repeat this five times. A good stretch for the lower back and the back of the legs. You should put the left heel on a ground that’s slightly lower in comparison to the hip as a chair, bench or bad and flex the foot. Deepen this stretch by bending forward towards the flexed foot. Stay like that for around half a minute and then stretch your other leg. This is a great stretch for the calf muscles since it relaxes them and for the lower part of your legs. First, you need to stand facing a wall, hold your arms straight in front of you and hold the hands flat against the wall. Make sure to keep your right leg forward, and your foot is flat on the ground. Then extend the left leg behind you and make sure your heel is flat on the floor. Next, you need to lean into the wall without bending the back of your leg. Stay like that until you feel the stretch in the calf of your leg. Stay like that for 30 seconds and then switch sides. Do this stretch twice on each leg for 3 sets. Stand up and make sure your feet are spread hip distance apart and keep your knees slightly bent. Then hinge forward at your hips. Your upper body should hang over the legs and hold the elbows. You should know that for people who have lower back problems there is an easier variation and that is to put your hands on the ground in order to support yourself. Stay in this position for 3-4 deep breaths. Shake your head back and forth, or rock in the posed from side to side. Slowly come up by pulling in the base and round the vertebrae up one at a time. You should do this procedure 2 times. This stretch can help you open the chest by stretching the front, shoulders and upper arms. You should stand with your feet wider than hip distance apart. Clasp your hands behind your back and feel free to use a prop as a towel or strap while placing your hands as close as you can. Then raise the arms behind you while at the same time bending forward at your waist. Keep your head loose and then raise your arms over your head as much as possible. Let your hands stay clasped, and if possible touch your palms together. Stay like that for half a minute or more if you can, and do this procedure three more times.